Jay S. MacNeill, a contributor to golf in New Jersey as a president of both the New Jersey State Golf Association and Plainfield Country Club in Edison, is the 2018 recipient of the NJSGA/NJPGA New Jersey Golf Distinguished Service Award. The Distinguished Service Award is presented annually by the New Jersey PGA in collaboration with the NJSGA to honor an individual who has provided exemplary service and contributions to growing the game of golf in New Jersey, consistent with the honor, values and traditions of the game. MacNeill will formally receive the award at the annual NJSGA/NJPGA Celebration of Golf on Thursday, Oct. 25, at Canoe Brook Country Club in Summit. Under his leadership, the NJSGA made great strides, including the sale of its Golf Cottage in Bloomfield, the long-time home of the NJSGA which preceded the moving of the headquarters to the current site at Galloping Hill Golf Course in Kenilworth. During his presidency, the Women’s Committee was added to the NJSGA, bringing with it an additional seven championships. He also oversaw a restructuring of the publication of the organization’s magazine. “I am honored and humbled by the award, especially when I think back over the names of the past honorees. Golf is a lifetime game of honor and challenge. I am glad to have had the opportunity to be of service to such a worthy endeavor,” MacNeill said. MacNeill is a trial lawyer and is a founding member and managing partner of the firm of MacNeill, O’Neill & Riveles in Cedar Knolls. He represents healthcare professionals, healthcare and corporate entities. He has litigated at all levels in the state and federal courts, with extensive experience trying jury as well as non-jury cases. He has been elected as a Fellow to the American Board of Trial Advocates and is certified by the Supreme Court of New Jersey as a Civil Trial Attorney. He has wide-ranging litigation experience in significant civil matters involving complex commercial litigation. MacNeill regularly counsels the firm’s business clients on corporate and commercial matters, as well as serving their litigation needs. 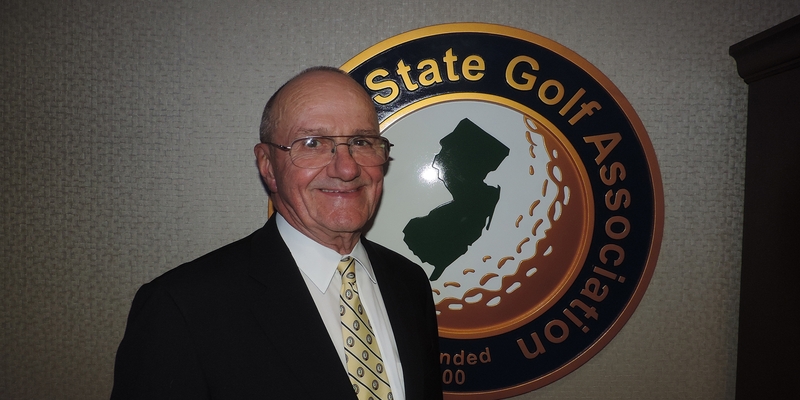 MacNeill is currently serving on the Board of Trustees of the New Jersey Seniors Golf Association and has served on the Board of Trustees for the NJSGA, including his term as President. He continues to serve on the NJSGA’s Executive Committee and Advisory Committee of Past Presidents, providing counsel to the association.